Easterners are more inclined than Westerners to search too long online for the best deals because they are more sensitive to the ‘sunk cost’ of their previous search efforts, according to a study from Cambridge Judge Business School. A ‘sunk cost’ is a cost that has already been incurred previously and can’t be recovered – in this case that means the time and effort that has been expended trawling the internet for deals. There is always a trade-off between the potential of getting a better deal by searching more, and the time and effort involved in searching. The study, “Culture Moderates Biases in Search Decisions”, which has been accepted for publication in a forthcoming issue of the journal Psychological Science, found that Easterners tend to search more than they should following prior extensive search efforts. 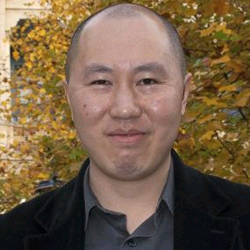 “We found that Easterners search longer than the cost-effective benchmark when search costs become high, but not Westerners,” said Vincent Mak, University Lecturer in Marketing & Decision Sciences at Cambridge Judge Business School, who has also conducted several other detailed behavioural studies concerning online search. In academic terms, search is a form of sequential decision making for which there is an optimal stopping point. Beyond this point, the further effort of hitting the ‘search’ button once again is not worth the potential for finding a better deal. “As search costs accumulate, Easterners become more ‘obsessed’ than Westerners with getting a really good deal to justify all the effort spent,” added Mak, a native of Hong Kong. The study involved hundreds of university students at Cambridge University and Chulalongkorn University in Bangkok, Thailand. It was co-authored by Mak and Jake Pattaratanakun, a Thai native who is a PhD student at Cambridge Judge as well as a lecturer in Marketing at Chulalongkorn University. Although the research focuses on students in the UK and Thailand, the authors believe that the cultural characteristics central to the study also apply more broadly to other Easterners and Westerners. Mak conjectures that the findings could reflect previous research showing that Easterners may be more prone to take risk when financial gains (such as potentially better price deals) are involved. Because ‘sunk costs’ represent a loss, this drives risk-taking people to try to recoup losses through additional searching in the face of uncertainty. The study involved the online purchase of a virtual product with a known value of 700 tokens and a price quote that was randomly generated by each search within controlled deviations. There was a cost associated with each sequential search – starting at five tokens and then increasing in multiples of five tokens in subsequent searches. So each participant’s net payoff was 700 tokens minus both the purchase price obtained and all accumulated search costs. To test the assumption that it is cultural differences that drive Easterners to over-search when ‘sunk costs’ are high, the study checked whether language used in the study may be able to skew results by “switching on” subjects’ cultural mindset. The experiment was repeated with Thai students from a bilingual, bicultural background. This time, purchase patterns of the Thai students participating in English were “largely the same” as UK students – but the patterns were “markedly different”, with participants undertaking longer searches before making a purchase, when the bicultural participants conducted the experiment in their Thai language. The study also further tested whether awareness of the ‘sunk costs’ of their searches influenced participants’ behaviour. While earlier testing rounds told all participants of their accumulated search costs, additional tests did not inform participants of these ‘sunk costs’ – and found that in this case purchase patterns were largely the same between Eastern and Western participants. “This observation is consistent with our premise that ‘sunk cost’ effects are a key driver of the cross-cultural differences in biases in search decisions,” the study concluded. Inset image: Dr Vincent Mak. Article originally published by Cambridge Judge Business School.